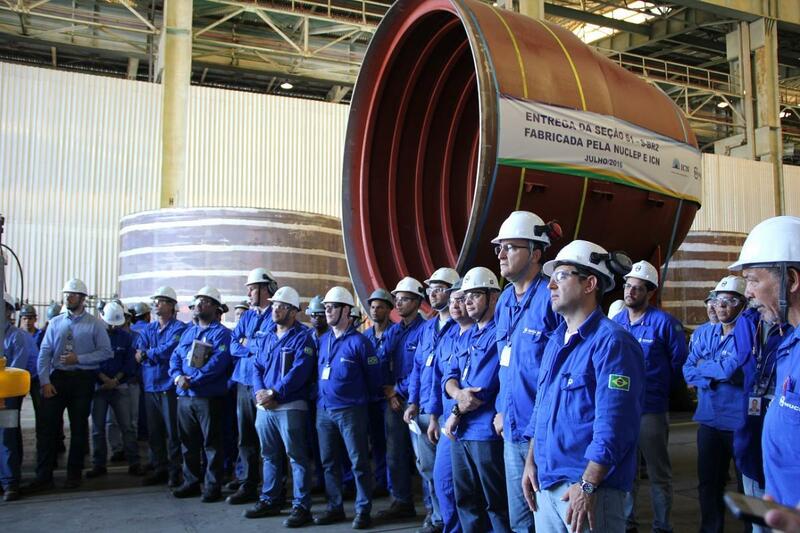 In spite of Brazil’s political crisis, the Brazilian Navy has continued with its ambitious project of domestically constructing a new fleet of submarines, including a nuclear-powered platform. The first Scorpène-class submarine is expected to be launched in 2018, an important development though a couple of years behind schedule. However, the question remains: does Brazil require today, or will it require in the foreseeable future, an advanced submarine fleet? A 2009 contract between the Brazilian Navy and French conglomerate DCNS “covers the design, production, and technology transfer required for four Scorpène-class conventional submarines, and the design assistance and production of the non-nuclear part of the first Brazilian nuclear powered submarine, including support for construction of a naval base and a naval construction site.” This contract was the result of a defense agreement signed in 2008 by then-Brazilian President Luiz Inacio Lula da Silva and his French counterpart, then-President Nikolas Sarkozy. This project is known as the Submarine Development Program (Programa de Desarrollo de Submarinos; PROSUB). At the time of this writing, SBR-1 Riachuelo (S-40) is nearing completion as it is expected to be launched in 2018 and delivered to the Navy in 2020. The next submarine, SBR-2 Humaitá, will be launched in 2020, while SBR-3 Tonelero (S-42) and SBR-4 Angostura (S-43) are scheduled to be completed by the early 2020s. As for the nuclear submarine SN-BR Alvaro Alberto (SN-10), the Brazilian Navy’s PROSUB webpage reports that it is still in the developmental phase and that actual construction will commence in 2017 and be completed by 2025. “The transfer [of the submarine] to the Navy is expected to take in 2027,” the Navy explains. A word should be said about the status of the shipyard, also part of PROSUB, since the Navy wants the capacity to construct more of these platforms in the future. To this end, a 750,000 square meter complex is under construction in the municipality of Itaguaí (Rio de Janeiro). In 2013, the Metal Structures Manufacturing Unit (Unidade de Fabricação de Estruturas Metálicas; UFEM) was inaugurated, with then-President Dilma Rousseff in attendance. Among other tasks, UFEM will manufacture the metal hull structures of the platforms. It is necessary to highlight that the construction of these platforms has not been a smooth ride. A 1 March 2013 article by Reuters reported that “the first conventional submarine [will be completed] in 2015 and the nuclear-powered submarine will be commissioned in 2023 and enter operation in 2025, the Brazilian Navy said in a statement.” The timetable was perhaps too ambitious as the first submarine Riachuelo is now scheduled to be launched in 2018, three years later than originally reported. Similarly, the nuclear platform is now expected to be ready by 2025, not 2023. Part of the reason for the delay has to do with the country’s recent economic crisis which has affected the budget of governmental agencies, including defense. Due to space considerations, we cannot provide a full account of Brazil’s political crisis over the past year with regards to the Lava Jato revelations. Nevertheless, it is important to note that the Brazilian conglomerate Odebrecht, which is involved in PROSUB via its ICN unit, has been implicated in the scandal. (Ret.) Admiral Othon Luiz Pinheiro da Silva, considered the father of Brazil’s nuclear program and a major supporter of the nuclear submarine (see his biography in Togzhan Kassenova’s commentary Turbulent Times for Brazil’s Nuclear Projects) has also been implicated in illicit activities. He was sentenced to 43 years in prison this past August for corruption and money-laundering. While PROSUB itself has survived the recent crises, these scandals raise the question whether there will be new allegations of illegal activities surrounding the construction of these platforms in the near future. The other problem with PROSUB is that sensitive information about the Scorpène-class subs may be out in the open as DCNS has suffered a massive intelligence leak. This past August, the Australian daily The Australian published documents which “detail the secret combat capability of six Scorpène-class submarines that French shipbuilder DCNS has designed for the Indian Navy.” According to reports, the DCNS leak includes more than 22,000 pages about the Indian platforms. Regarding this incident, Brazilian Rear Admiral Flavio Augusto Viana published a letter stating that “the Brazilian submarines were designed along specifications made by the Brazilian Navy, which means that there are differences between our submarines and those of other countries.” Therefore, the Brazilian Navy, “does not foresee any impact on the construction of the SBR.” The author is not qualified to compare the Brazilian and Indian Scorpène-class subs, however it is likely that there are some general similarities between the two models. At this point it is worth remembering the words of Admiral Eduardo Leal Ferreira, commander of the Brazilian Navy, who spoke at a recent 26 September event entitled “Addressing Challenges in the Maritime Commons” at the National Bureau of Asian Research. 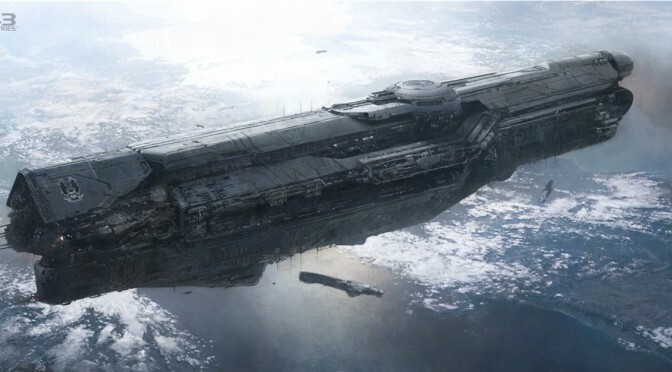 An article written by the author for IHS Jane’s Defense, quotes Admiral Ferreira stating that the PROSUB program is the Navy’s main priority, followed by upgrading the fleet’s frigates, and then repairing the Sao Paulo(A-12) carrier. In other words, PROSUB, in spite of delays, budget issues and other incidents, will continue. Given that PROSUB is well underway and by next decade we will see a modern, domestically constructed, Brazilian submarine flee. The question is: why does Brazil need these platforms? This author argues that Brazil does not have any major inter-state issues that would make the submarines, a platform suitable for conventional warfare, necessary. The reality of South American geopolitics is that Brazil’s relations with its 10 neighbors, including one-time competitor Argentina, remain quite cordial. Hence, the possibility that a regional state would attempt to aggressively take control of part of Brazil’s exclusive economy zone is too remote to realistically contemplate. Additionally, while Brazil has pursued the submarine program (among other platform acquisition projects), this has not sparked a regional arms race for fear of an “imperialist” Brasilia trying to take over a neighbor’s territory. In other words, regional states do not appear threatened by Brazil’s PROSUB program, highlighting the current status of regional geopolitics and the general success of confidence building mechanisms (for example Brazil has a constant presence in regional military exercises, such as hosting UNITAS Brasil 2015 and serving as the deputy commander for PANAMAX 2016 – Multi-National Forces-South), which make the possibility of inter-state warfare remote in this region. Likewise, there is little chance that an extra-regional power will deploy a fleet to Brazilian waters a la Spanish Armada to take over its oil platforms. While it is true that the U.S. did send a fleet, led by the USS Forrestal, to support Brazil’s military coup in 1964, bilateral, regional and global geopolitics are not the same as five decades ago. 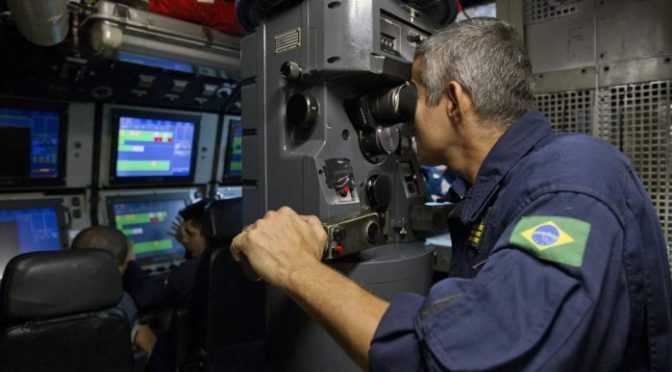 Without a doubt, Brazil deserves a well-equipped and modern navy that can address its 21st century challenges, protecting its maritime territory, particularly the offshore oil platforms, and cracking down on maritime crimes like drug trafficking (or other types of smuggling) or illegal fishing. However, this author argues that submarines are hardly the appropriate platforms for these tasks. A fleet of oceanic patrol vessels (OPVs) along with a robust air wing would be more suitable for coastal and oceanic patrol, including the interdiction of suspicious vessels. In his September remarks at NBAR, Admiral Ferreira explained the need for Brazil to possess a blue water Navy in case of a hypothetical armed conflict in the South or East China Seas. This author has not found a direct correlation between the two issues: if an incident took place, would Brazil need to deploy its platforms to the open seas in defense of freedom of navigation? While the Admiral’s statement is not clear, the wider goal is to obviously increase the power projection of the Brazilian Navy by making it a blue water navy. This explains PROSUB’s priority, as this will be a major source of pride regarding the country’s naval capabilities, including the ability to manufacture these platforms. Additionally, Admiral Ferreira highlighted that the Brazilian Navy is a dual-purpose navy as “we are not just a war-fighting Navy like the U.S., we have other collateral tasks, we are coast guard, we are maritime authority for safety of the sea [and] we have lots of tasks in the Amazon basin.” Indeed, the Brazilian Navy has a variety of tasks. However, the question remains if a fleet of four Scorpène-class submarines and one nuclear-powered submarine are the ideal platforms to carry out these duties when OPVs and frigate-type platforms (which the Navy is upgrading) are more suitable for these tasks. In recent months various Latin American navies have either received or deployed new platforms. For example, Chile and Mexico have launched new Oceanic Patrol Vessels (OPVs) while Colombia has launched two amphibious landing vessels and two speedboats. In late July, Peru’s brand-new training vessel, the Union, left port for its first voyage. While these acquisitions and deployments appear standard, there is one important detail that links them together: all these platforms were produced by Latin American shipyards. The global shipbuilding industry is about to get more crowded as Latin America shipyards are making their presence felt. Their platforms are not solely produced for local navies, as exporting them is now an objective. The most ambitious domestic naval project is found in Brazil. With assistance from the French company DCNS, the Brazilian Navy is constructing four Scorpene-class diesel-electric submarines, as well as a nuclear-powered submarine, a dream of the Brazilian Navy for decades. Just this past July, the fourth section of the Humaitá was delivered to Itaguaí Construções Navais (ICN). According to the Brazilian news agency Defesa Aerea & Naval the first submarine, the Riachuelo, will be launched in 2018 and delivered in 2020 while the Humaitá will be launched in 2020 and delivered in 2021. Apart from the submarines themselves, Brazil is also constructing a submarine-building facility in Itaguaí, near Rio de Janeiro. These projects constitute the massive program known as Programa de Desenvolvimiento de Submarinos or Program Development for Submarines (PROSUB). Other countries are manufacturing naval platforms, though not submarines. Specifically, regional shipyards are constructing OPVs, multipurpose vessels, and even training vessels. 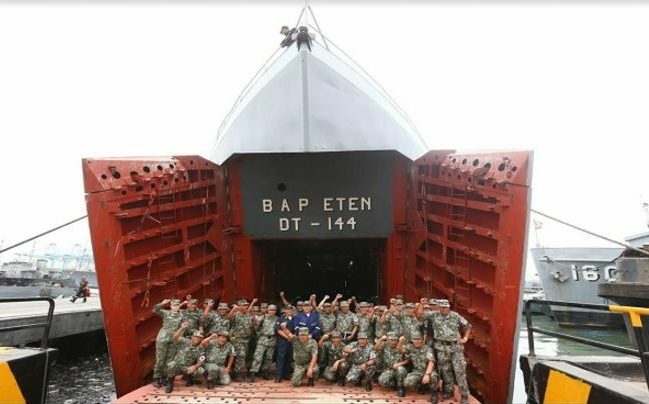 Case in point, in late July, the Colombian shipyard Corporación de Ciencia y Tecnología para el Desarrollo de la Industria Naval Marítima y Fluvial (COTECMAR) delivered two new amphibious landing vessels, the Golfo de Morrosquillo and Bahía Málaga to the Colombian Navy, as well as two river patrol boats. COTECMAR has already delivered two similar ships (the Golfo de Tribuga and the Golfo de Uraba) to the Colombian Navy and plans to build an additional two more for a total of six vessels. The company has also constructed OPVs like the 7 de Agosto, which participated in operations Atalanta and Ocean Shield off the Horn of Africa. As for neighboring Peru, the state-run shipyard Servicios Industriales de la Marina (SIMA) has, as previously mentioned, constructed the country’s new training vessel (the author has discussed Latin America’s training vessels in a 6 June commentary for CIMSEC). On 27 July, the BAP Union departed the port in Callao for its first multinational voyage, carrying aboard 93 Peruvian naval cadets. Moreover, two patrol vessels were launched earlier this year: the Rio Pativilca and the Rio Cañete; they were constructed in SIMA’s shipyard in Chimbote (northern Peru). In an interview with the author, Mr. Mario Pedreros Leighton, president of the Georgetown Consulting Group, LLC., based in Washington DC, highlighted the multipurpose functions that these domestically-manufactured platforms accomplish. As inter-state war is highly unlikely in Latin America, platform acquisition is not solely judged on traditional defense from a foreign military, but what other missions platforms can carry out, particularly to support civil society. Mr. Pedreros Leighton explains how “there is no doubt that vessels today must fulfill a social role, like protecting natural resources and carrying out search and rescue operations. These uses make the vessels more attractive as their value is not based on traditional defense. In turn, governments find it easier to approve budgets and investments regarding these projects.” Hence, it is no surprise that the region has focused on constructing OPVs and multipurpose ships, as they are relatively inexpensive to operate and maintain, and can be utilized for patrol, support operations, as well as providing relief to coastal regions. It is safe to say that Latin American shipyards will continue to produce vessels and submarines for local navies. As previously mentioned, Brazil is close to completing the construction of two Scorpene submarines, while it is expected that the two others will be delivered in 2022 and 2023. Even more, the highly anticipated nuclear submarine should be ready around 2023-2025. Moreover, it appears that the Argentine shipbuilding industry is bouncing back after experiencing a difficult decade and a half of economic crisis and turbulent governance. 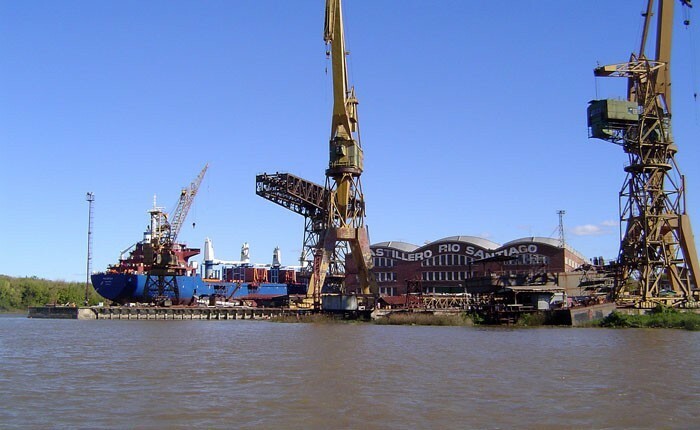 The Rio Santiago shipyard in Buenos Aires province will now manufacture vessels that will be utilized to train naval cadets. Two are currently under construction, with a total of six expected to be ordered. According to the Argentine news agency Telam, the first will be delivered in 2018. Moreover, earlier this year Rio Santiago signed a deal with Daewoo to manufacture a Makassar-type landing dock platform vessel. It is important to highlight the assistance that other companies are providing to Latin American shipyards. Apart from DCNS in Brazil or Daewoo in Argentina, other examples include, Damen, which signed an agreement with Mexico so the country can construct in its own shipyards the aforementioned OPVs which are based on Damen’s Stan Patrol 4207. Similarly, while the Union was constructed in Peru, the Spanish company CYPSA Ingenieros Navales aided SIMA in the design of the vessel. As for future cooperation projects, representatives from Mitsubishi Hitachi Power Systems and Copower Ltda visited the facilities of Ecuador’s state-run shipyard Astilleros Navales Ecuatorianos (ASTINAVE) this past May. The argument proposed here is that Latin American shipyards will continue to aim at domestically manufacturing platforms, which means that future deals with foreign shipyards will have to include some level of know-how and technical exchange. What is the ultimate goal for these shipyards? Manufacturing platforms for export, and not just to sell to local navies appears to be the answer. On this issue, Colombia’s COTECMAR reached a major milestone in April when Colombian President Juan Manuel Santos carried out a diplomatic tour throughout Central America. During his stop in Honduras, President Santos signed a deal with the Honduran government where the latter will purchase a COTECMAR support vessel (the exact model and timeline for delivery are still unknown). The significance of this deal cannot be underestimated as it is a Latin American shipyard exporting a platform to another regional state. (COTECMAR had previously supplied river boats to the Brazilian Army and Navy, however we are focusing on ocean-going platforms). This deal also brings up the question of which countries are potential customers for Latin American shipyards. It makes sense that their primary targets would be countries with less developed naval industries, like for example Central America, Uruguay, and perhaps Caribbean states. If these hypothetical deals succeed, maybe some regional shipyard could attempt to export outside of the Western Hemisphere. One plausible scenario is that, even if Latin American shipyards cannot sell brand-new platforms to the aforementioned nations, they could hypothetically still sell efficient, second-hand vessels from local navies at a much reduced cost. Mr. Pedreros Leighton explains how “Chile, for example, could attempt to sell the OPV Piloto Prado [constructed by ASMAR and utilized by the Chilean Navy] which is almost a decade old and was constructed utilizing a Fassmer 80 design.” Second-hand platforms are always an attractive option when there are insufficient funds for brand-new equipment. Due to space considerations, we will provide a broad overview of the likely woes thatregional shipyards could face regarding future projects. Financial and technical problemsare obvious concerns, which are best exemplified by the construction of the Brazilian submarines. In 2009, the Navy’s objective was to have the first submarine, the Riachuelo, launched in 2015, but construction has been delayed by three years. Meanwhile, the delivery date for the nuclear submarine varies by a margin of two years. These changing delivery dates certainly do not help the image of the ICN shipyard and its supporting companies. Another issue is finding customers, locally and abroad. The global shipbuilding industry is cluttered as shipyards compete with one another as well as government-to-government deals (e.g. Peru has recently obtained a new corvette, the Ferre, which was donated by South Korea). Moreover, while Latin American shipyards can construct vessels, potential customers may continue to prefer more expensive platforms from well-known companies. Another problem has to do with the volume of construction. Mr. Pedreros Leighton explains that “building one vessel is very expensive, but manufacturing two or more makes the project less costly.” Unsurprisingly, shipyards prefer to have large orders, however they may have to settle for single units (e.g. COTECMAR and Honduras) in order to establish their brands with foreign customers. While this situation may diminish sales revenue, the offset would be achieving a stronger name brand. A final point has to do with marketing and name brands. Colombia’s COTECMAR has had an aggressive marketing program in order to gain customers abroad such as Brazil and Honduras. It is beyond the scope of this essay to discuss marketing strategies among shipyards, however it is necessary to stress that Latin American shipyards will only export platforms if they manage to make their names become well-known regionally. 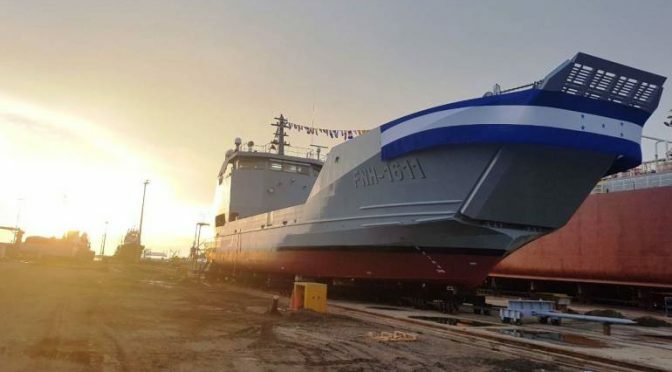 Latin American shipyards are currently enjoying a boom, as many of them are constructing vessels from Brazilian submarines to OPVs in Chile and Mexico, to multipurpose vessels in Colombia, and a training vessel in Peru. 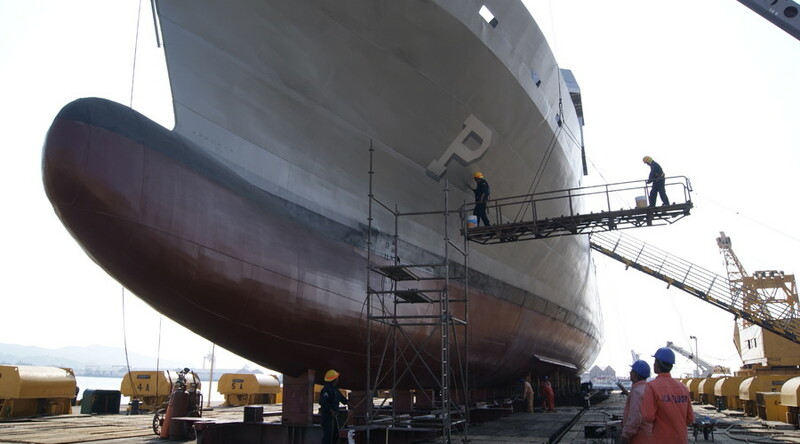 This is a positive development for regional navies as they can rely on domestic shipyards to construct new platforms and have the expertise to repair vessels already in service. Moreover, the sale by Colombia’s COTECMAR to Honduras of a support ship is a significant development as this means regional shipyards are now exporting platforms. 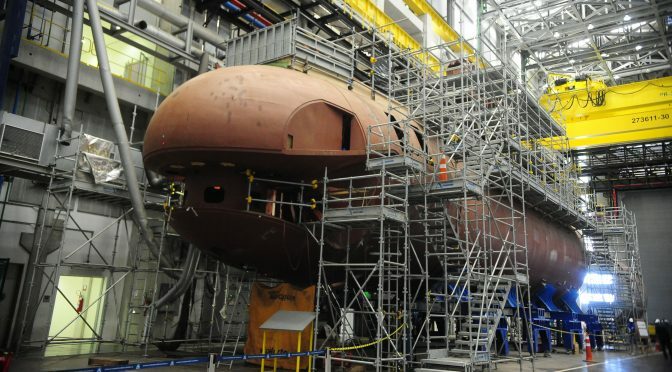 It is true that Latin American navies cannot manufacture heavy surface combatants or carriers; meanwhile Brazil is having trouble keeping its ambitious PROSUB submarine project on schedule. Nevertheless, the tides are changing and Latin America is no longer solely an importer of sea platforms, it is also once again a producer and, albeit in a very restricted breadth, an exporter. The RTS crew discusses HALO – everything from the technology to whether or not Master Chief receives a military housing allowance.